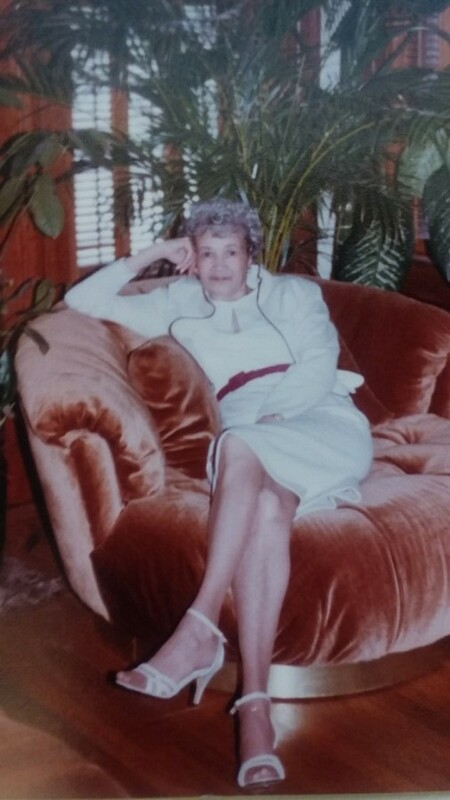 Edwina J. Minard, 91 of Roxbury, MA, January 4, 2019. Born in February,1927 to Ruth and James Pryor in Roxbury, MA. Edwina was a dedicated Teacher's Aide in the City of Boston school system for 37 years. Most of those years spent in schools located in the Roxbury community (The Julia Ward Howe, Sara J. Baker and Lewis Middle Schools to name a few). She truly enjoyed working with children, helping to make a difference in their lives. It was a heartwarming experience for her each time one of those children, now grown approached her to give thanks for her caring support or the inspiration she provided. Edwina's personal passion was gardening. Her green thumb evident in the beauty and abundance of her summer garden. Sharing her gardening expertise, seeds and cuttings with anyone who asked was just one of her many endearing qualities. After retirement Edwina enjoyed travelling. Her favorite destination the island of St. Martin, her second home. She enjoyed listening to Bob Marley and eating Reese's cups. Edwina was preceded in death by her husband, James E. Minard and her son James (Skip) E. Minard, Jr. She is survived by her children, Cheryl R. Warmsley, Laurence S. Minard, Charmaine M. Chandler, her grandchildren, James R. Warmsley, Frank W. Warmsley III, her great grandchildren, Tayla R. Warmsley, Jezenia A. Warmsley, Alaila A. Warmsley and her great, great grandchild Janiya Warmsley. A private family service will be held for Edwina. Her ashes will be interred with her husband, James at Mt. Hope Cemetery, Boston, MA. The Family will hold a memorial service in the spring to honor Edwina's long life. Please express your wish to attend the Memorial service on the Tribute Wall. A family member will contact you with details when available. Memorial donations may be made in memory of Edwina Minard to Season's Hospice Foundation (seasonsfoundation.org).